Saute onions in lard or butter. Add bone broth and cabbage. 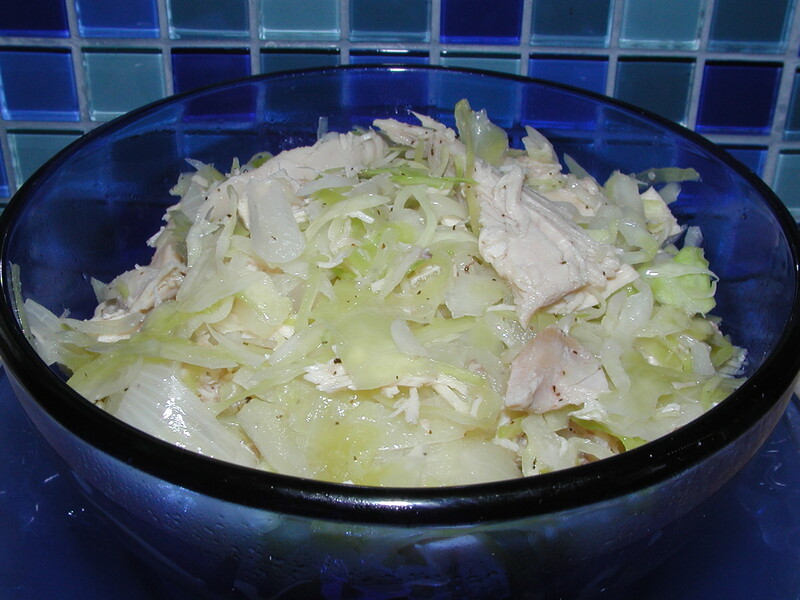 Simmer on stove top until cabbage is soft. Add chicken and spices. Enjoy!